You won’t find a happier marriage of form and function. 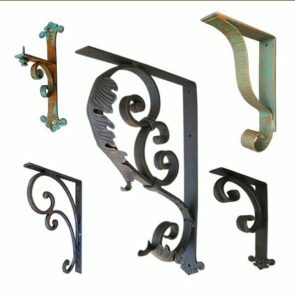 Our wrought iron angle brackets are available in a variety styles, sizes, and unique finish options. FREE SHIPPING on all orders shipped within the continental U.S. Unique & hand-forged by artists, not machines. Shoreline Ornamental Iron is a veteran-owned business! We deliver anywhere in the Continental U.S. If you have a need to ship anywhere else, please contact us for pricing. Free shipping anywhere in the Continental U.S. Shipping iron artwork isn’t cheap. Let us worry about that. We care about your safety. We process all transactions through names you trust like Square and PayPal. All transactions are encrypted end-to-end using SSL technology. 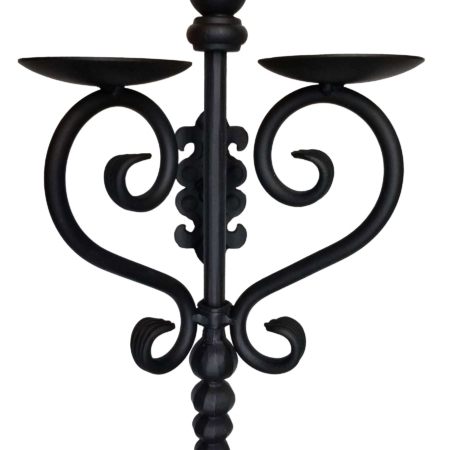 Do You Have a Custom Hand-Forged Need? We love a challenge! Shipping trouble? That’s no trouble at all. 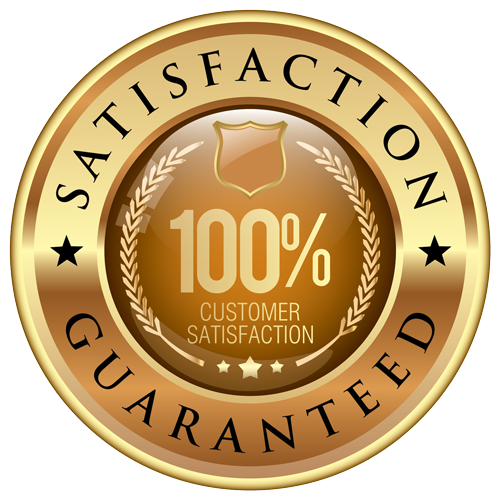 Contact us today with any and all inquiries about our products and service. 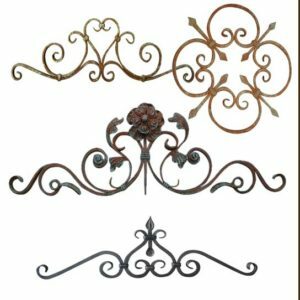 Shoreline Ornamental Iron forges iron decor of the highest caliber for customers who appreciate quality, durability, and the inherent beauty of metal manipulated by artists, not assembly lines. 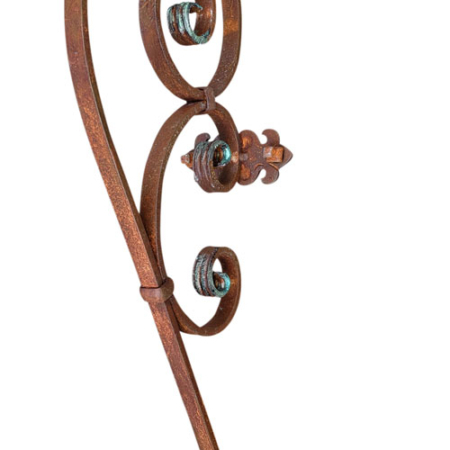 Our hand-forged iron shelf brackets offer an unmatched combination of form and function. 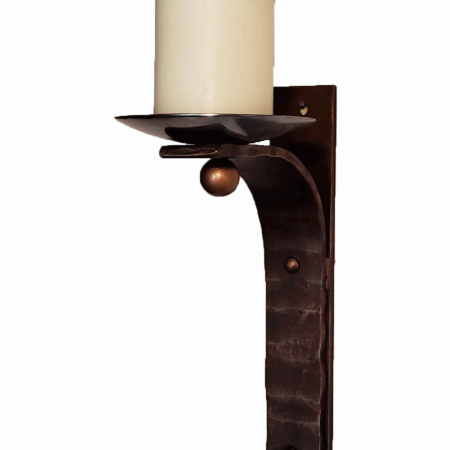 Buy the right size for your needs and our angle brackets will gladly stand the tests of time and gravity for decades. They’re an excellent way to add storage and decorative shelves to your home or business while preserving the class and quality of your space. 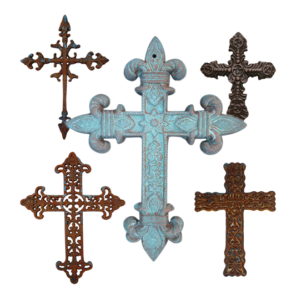 We craft a variety of custom wall-mounted sconces & candle holders, cast iron crosses, and other types of metal wall decor. Our products reflect our personal style. Every piece we create reveals the passion of its creators. 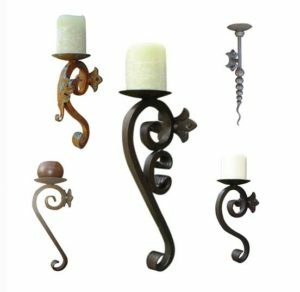 Shoreline Ornamental Iron’s unique, hand-forged angle brackets and home decor is handmade in our studio in Southern California. 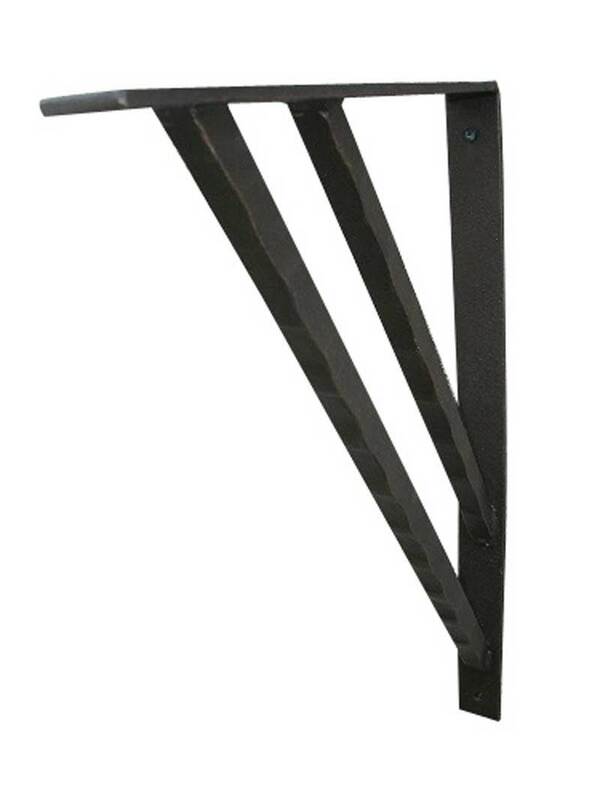 Our iron angle brackets are forged with equal attention to function and form. 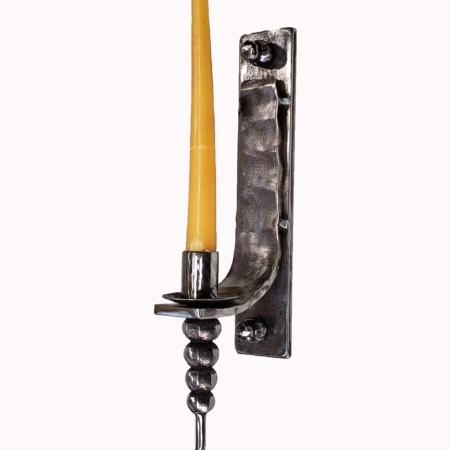 All products come in a variety of finish options to match your existing home decor. 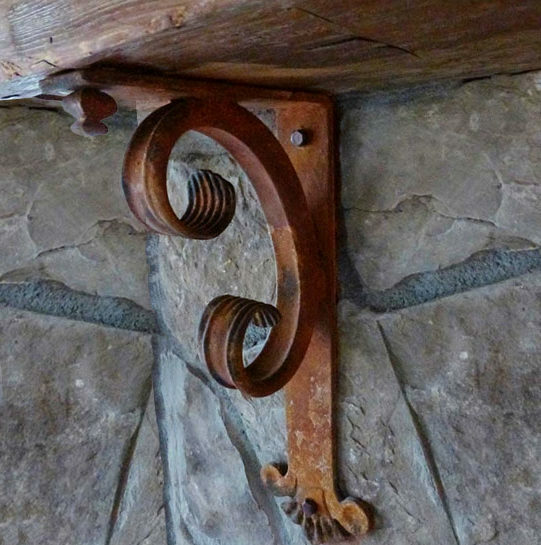 Our iron angle brackets aren’t just for show: they’re ready to carry the load of your shelves, mantles, and more.